Be sure to review the residence hall opening information. Cornell's residence halls are more than just places to sleep -- they're where students live, learn, play, and grow together. 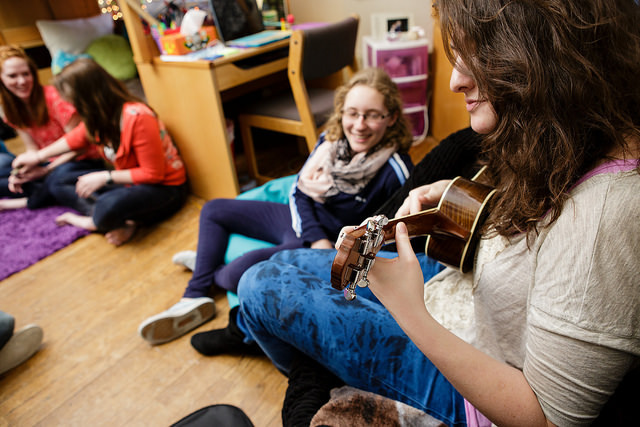 As a liberal arts institution committed to the concept of a residential community, Cornell College endeavors to develop a climate in its residence halls where students grow and mature to the full extent of their abilities. Living and interacting with students from diverse backgrounds and cultures provides residents with an opportunity to learn not only about new lifestyles and philosophies, but also about their own history and values. The residence life program capitalizes on the many diverse influences in the residence halls and channels these influences toward positive learning experiences. Programs and activities are planned and structured for students to develop deeper self-awareness and self-sufficiency and to improve their acceptance, cooperation and understanding of others.